Use these tools to assess the current level of child development, program quality, and family and community engagement from the perspective of family and community knowledge systems. Register a group using your email address. For each group, you'll be sent unique links for completing the parent and staff tools. As the group organizer, you'll be able to view summary scores for each group. If you'd like to see summary reports for more than one group, register each group separately. You may register as many separate groups as you'd like. For repeated use of the tools and to measure progress across time, register the same groups again later. The Family and Community Knowledge Systems Project was initially developed with a grant from the W.K. Kellogg Foundation. The tools can be used separately or together. They can be used once to assess the current level of child development, program quality, and family and community engagement from the perspective of family and community knowledge systems. They can also be used to produce repeated measures to assess any improvements over time. The tools can be used separately or together by following a self-guided manual that explains how to administer the tools, process the data, and interpret the results. Advice and consultation are available at an hourly rate. Betty Emarita is available on a fee basis to train a group of providers and staff to administer the tools with parents and staff/providers, facilitate learning sessions with families and staff in individual programs to complete the tools, and/or to lead a joint learning session with families and staff to review issues that emerged and to devise strategies for addressing them. Richard Chase and the staff at Wilder Research are available on a fee basis to process the completed tools and prepare a customized report highlighting and interpreting the results. Betty Emarita is an ideation and strategic change consultant. A member of the National Network of Consultants to Grant Makers, she is certified in Human Systems Dynamics and part of the Polarity Management international learning community. For over two decades, Ms. Emarita and associates have provided services, including strategic planning, evaluations, assessments, and training to clients including the Annie E. Casey Foundation; Ford Foundation; Minnesota Department of Human Services; Washington State Department of Early Learning; Children's Hospitals and Clinics of Minnesota; and national, statewide, and regional cross-sector collaborations of public agencies, foundations, and nonprofit organizations. She has rich experience incorporating information gathered at the community level into broader state-level systems. A contributor to the 2012 Washington State Early Learning Guidelines, she has also written several publications, including Family, Friend, and Neighbor Care Best Practices in Five Cultural Communities; a Home Visitation Guide to Family, Friend, and Neighbor Caregivers for Think Small, a services, resources, and advocacy organization for early education in Minnesota, and the Early Childhood Resource and Training Center; and most recently co-authored the BUILD policy brief, Family and Community Knowledge Systems: New Tools for Engagement. Dr. Richard Chase, Senior Research Manager at Wilder Research, Amherst H. Wilder Foundation, studies early childhood policies, services, and indicators and evaluates the effectiveness of school readiness, prevention, and capacity-building programs for children, youth, and families, with a focus on equity and inclusion. For 30 years, Richard has worked with diverse community-based groups and government agencies to design and carry out useful studies focused on outcomes and improvement. Richard has presented nationally and internationally on culture as a protective factor and has written several reports and BUILD Initiative policy briefs on understanding and supporting family, friend, and neighbor caregiving for healthy early childhood development. He also co-authored the BUILD policy brief, Family and Community Knowledge Systems: New Tools for Engagement. 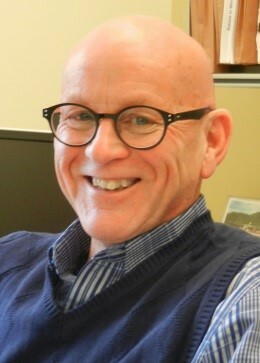 Richard also directs Wilder's cost-benefit and return on investment studies. Richard has a doctorate in American studies from the University of Minnesota.